I am motivated by the fact that I have made up my mind to share myself with the world and I have to give the world the best version of me. Creating a company from nothing isn’t child’s play. Any entrepreneur will confirm this. But wait, it’s not from nothing. It’s from the blocks and pillars erected in the mind, envisioned clearly and aching to gush out and become reality. We had a chat with yet another young man who went to campus and pursued International Relations with a major in Diplomacy and Foreign Policy and a minor in management, but then after graduating in 2015 he picked up his tools and on the foundation of the knowledge raked in school, chiseled his own destiny—away from employment. 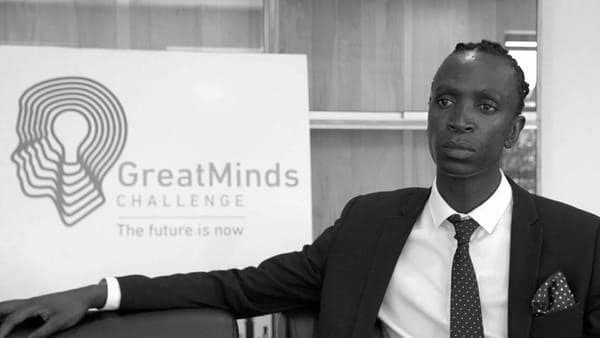 Peter Ndung’u is the founder of Great Minds Challenge. He represented Kenya in the 2017 Nudge Global Leadership Impact Challenge in Amsterdam and emerged top 10 out of 90 global participants. I am always at pain to answer this question. 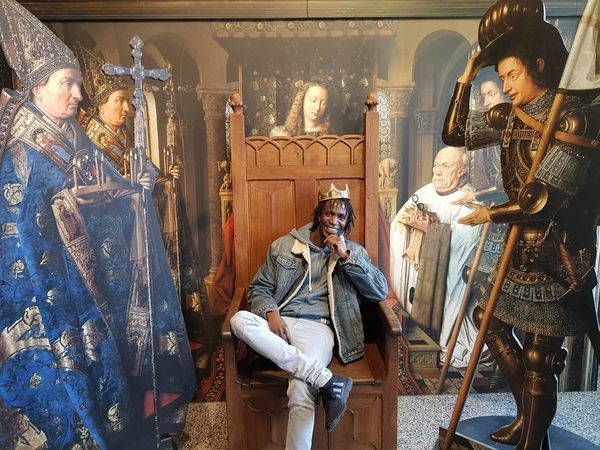 Funny thing, the first thing that comes to my mind is the Chronixx’s 2017 Chronology album legend song that says “I’m a lion but you never heard me roar.” That simply puts the perspective of my passion, dreams and visionary of the young leader I am, firstly to myself. Why did you start The Great Minds Challenge and what was the process? I started the Great Minds Challenge because I’m simply a misfit of the status quo. I’m a round peg in a square hole. 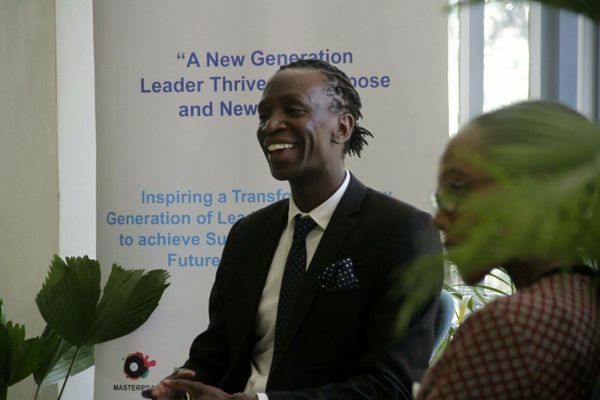 I desired a platform where I could explore my full potential and wild dreams of nurturing a new generation of leaders with new mindsets; leading from a place of value and character to effect transformation for people, planet and prosperity. The process I must confess started a long time ago, as I’ve always had this deeply seated and suppressed desire for change in my life and those around me. What’s the mandate of your company? Our objective is to inspire and nurture a new generation of young leaders with new mindsets, who will transform the society through innovation, sustainability and future-proof their creative ideas. At Amsterdam you emerged top 10. What other achievements have you bagged while steering Global Minds Challenge? I am the youngest Clairity4D accredited business partner in Africa and also a recipient of Gold Award from President Uhuru Kenyatta- from the President’s Award Scheme in 2015. And now that you’ve asked that, I guess it’s a great segue to say that later this year, I will bring the latest technology in coaching (ScanCoaching) not only to Kenya but also to Africa, from the Netherlands. All ducks have been put in a row; I am working on fine-tuning to ensure it all unwraps successfully. Your greatest fears and motivations? I’ve learnt to live above my demons so I have nothing to fear. I am motivated by the fact that I have made up my mind to share myself with the world and I have to give the world the best version of me, so this keeps me going since I know it’s not about me. If a well-established brand offered you employment and paid you a fortune, would you give up on your company? Doing something else other than pursuing my passion is the end of my life and I don’t want to die (laughs). Entrepreneurship Vs Employment: What’s your take? Whatever fulfills your heart’s desires; that is what one should pursue as they are both complimentary of each other. It’s said some people go to school, others go through school. What do you think about that? Unfortunately, we are raised in a misconstrued society based on false promises that are easily passed from generation to another. The key objective of education is to help us organize knowledge that we are naturally endowed with hence Plato’s argument that you cannot teach a man anything new, you can only remind them or work with them to discover it in themselves. The goal of going to campus is to equip ourselves with necessary skills to pursue our passion and dreams. The real party and satisfaction is in pursuing ones passion and dream and when this includes getting a job, it easily comes your way. A thing you regret in life? No regrets whatsoever, every ride in the roller coaster of life is worth the experience. If you could choose a supernatural power what would it be and why? I would choose Astro Projection which is a reality to a large extent, and I would choose this because I find my body and mind so limiting. Like I want to fly, you know what I mean… (Chuckles radiantly). A book and movie you’d recommend? Book: Conversations with God – Neale Donald Walsch. “There is no time but this time, there is no moment but this moment. NOW is all there is.” Neale Donald Walsch.